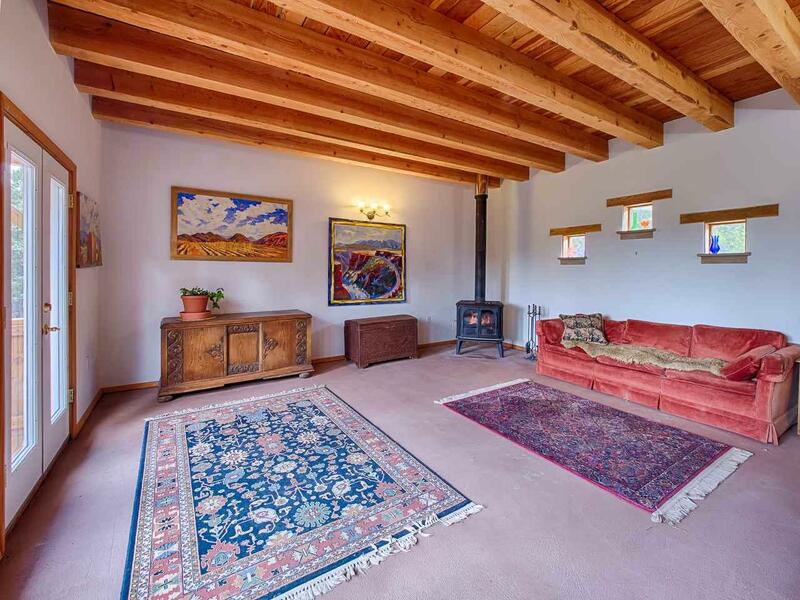 Situated on 6 wooded acres is this lovely Taos Territorial style home that perfectly blends indoor and outdoor living. 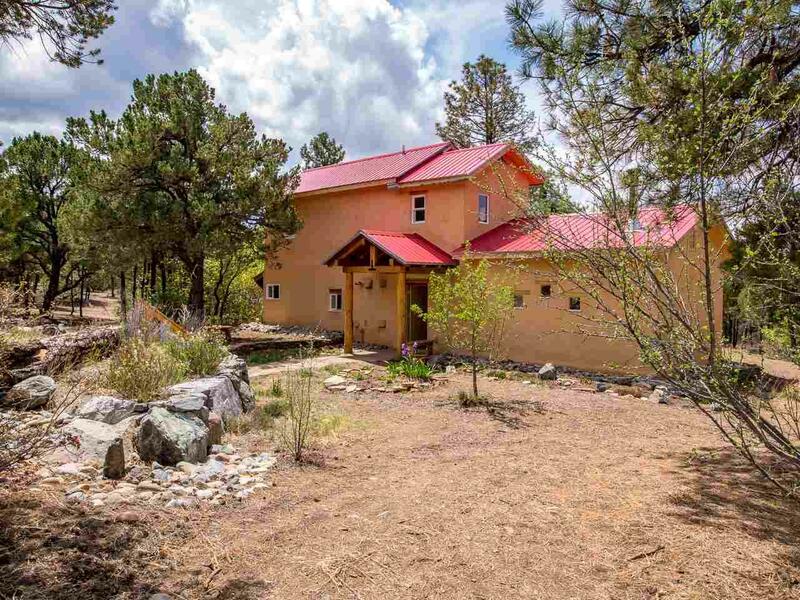 The lot is large, private and peaceful with big mesa views that light up with amazing sunsets and at night, the distant lights of Taos dance before exposing the unspoiled, star filled, night sky. It is simply breathtaking! Adventures are abundant with hiking right out your backdoor into the bordering Land Grant, leading into the National Forest and a Wilderness area! Outdoor living can be enjoyed vifa the large deck off the master bedroom, the multiple patios and the brick fire pit area. 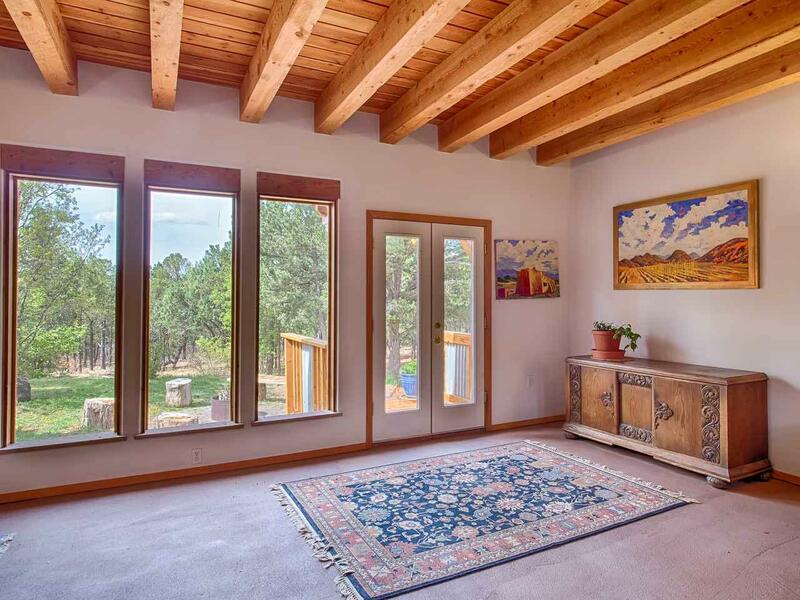 Inside, the large patio doors flow into a home that features stained concrete floors, rough cut timbers and an abundance of windows. The main floor contains an entryway, two living spaces with window walls, kitchen, laundry room and one full bath and bedroom. The master bedroom is upstairs with an ensuite bath and private deck. Radiant floor heating is throughout and the home is on a shared well. 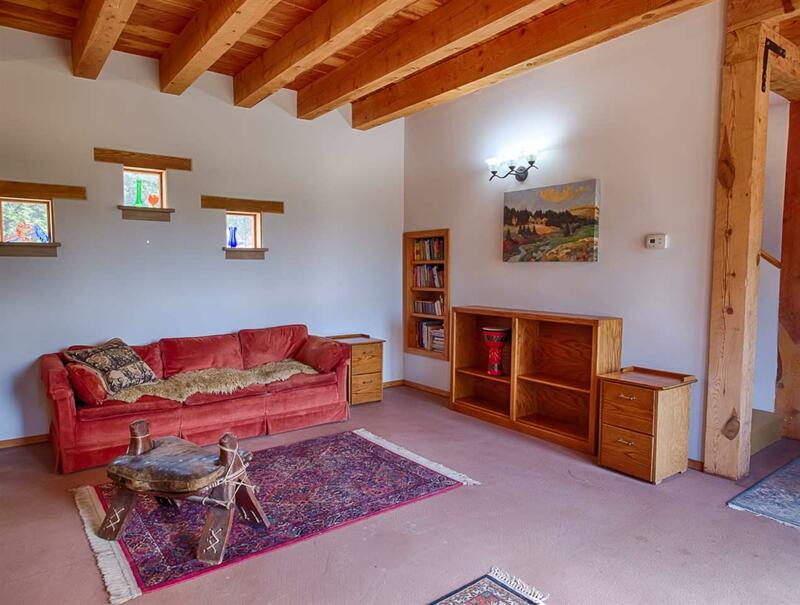 Finally, this home might feel secluded but youre only 25 minutes to Taos Plaza, Taos Ski Valley, and the very artsy Arroyo Seco is even closer! Home and property must be toured to be appreciated.